Hey loves! 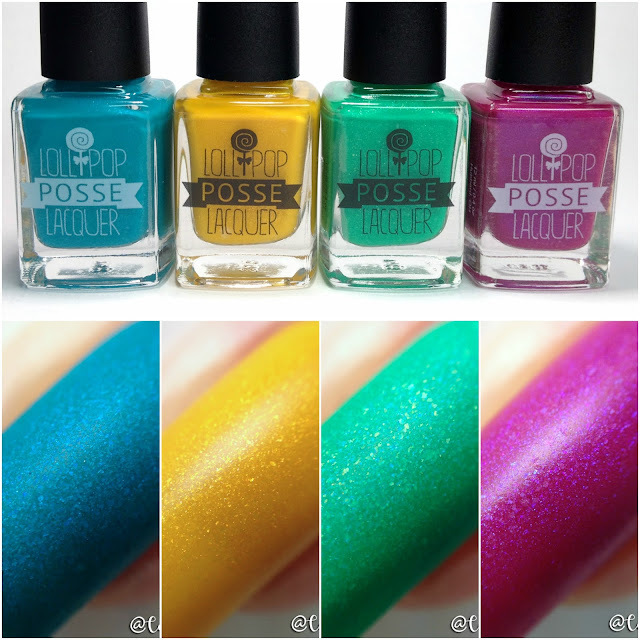 Today I have a bright and gorgeous matte collection from Lollipop Posse Lacquer to share with you. Meet the Kiki Vol.2 collection. 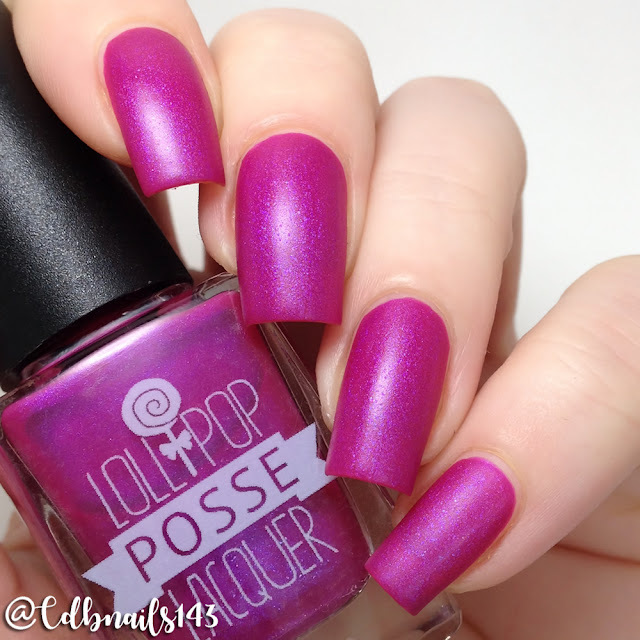 This is an extension to Karen's Christmas Kiki Collection that was inspired by the Scissor Sister's song, "Let's Have a Kiki". Read on for more info! All four polishes have the same formula and application. Shown here in two coats, no top coat. All formulas were great and applied very well. Dries matte. 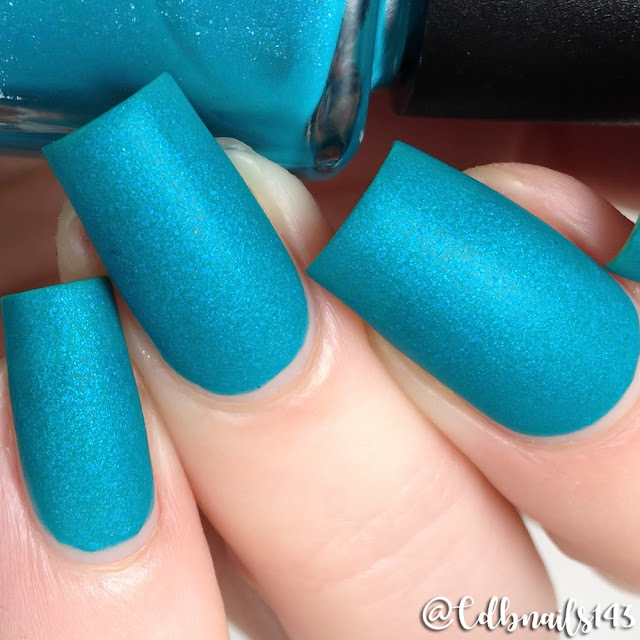 A matte, blue-leaning teal that is packed with shifting shimmer and on-tone micro flakies. Wear alone for a velvety matte effect or top with your favorite glossy top coat to highlight the shimmer! 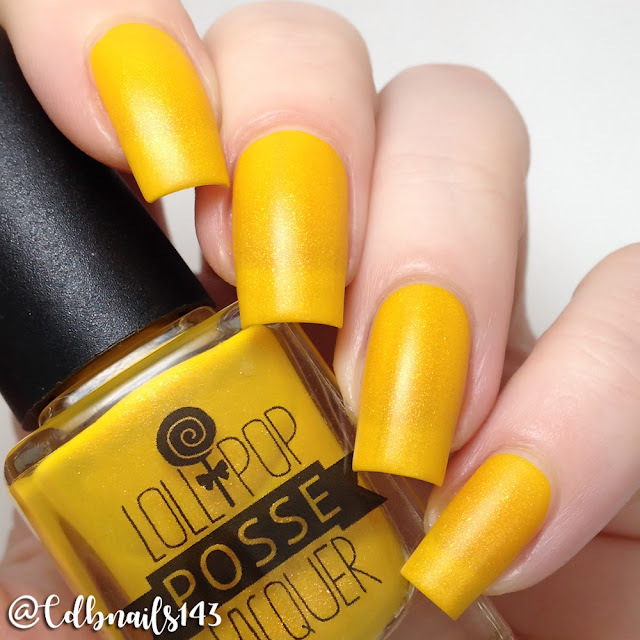 A shimmery, golden mustard matte. Wear alone for a velvety matte effect or top with your favorite glossy top coat to highlight the shimmer! 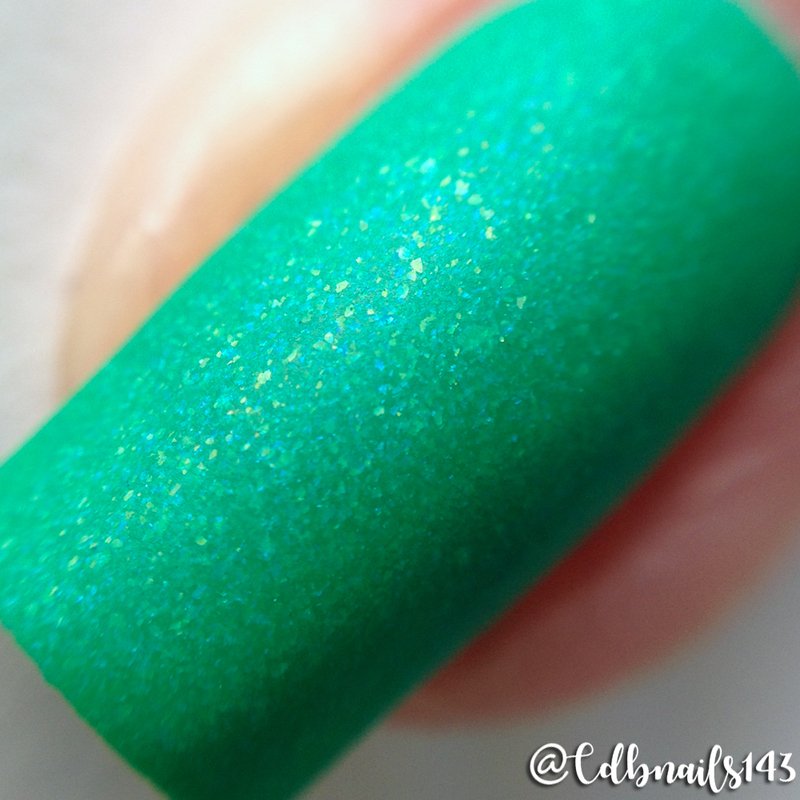 A vibrant, grass green matte shade that is filled with shifting shimmer and on-tone and gold micro flakies. Wear alone for a velvety matte effect or top with your favorite glossy top coat to highlight the shimmer! 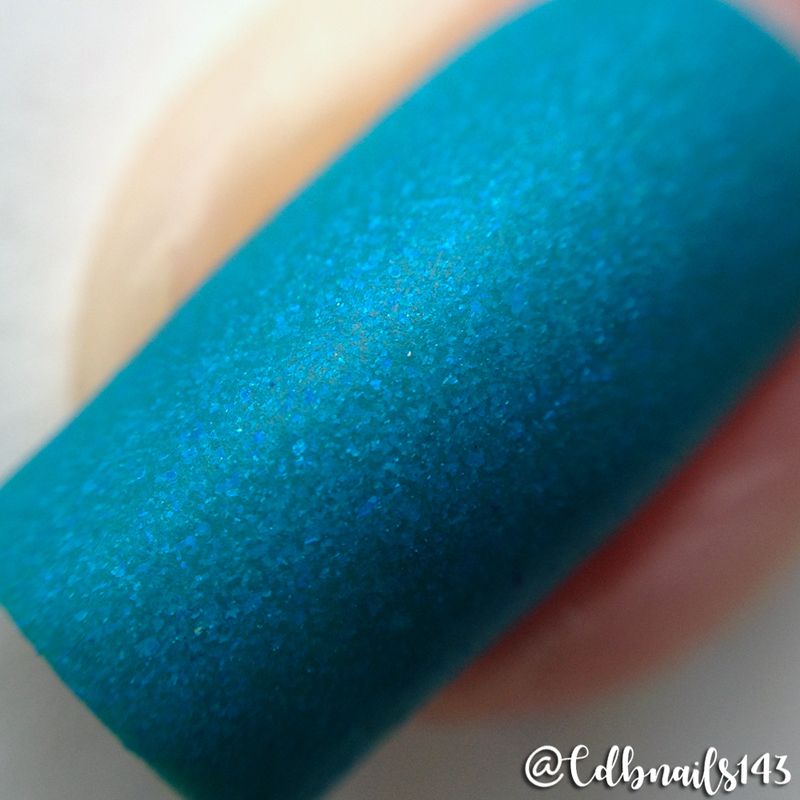 A matte berry shade that is filled with blue shifting shimmer and pink to blue shifting micro flakies. Wear alone for a velvety matte effect or top with your favorite glossy top coat to highlight the shimmer! I love, love, love this collection! 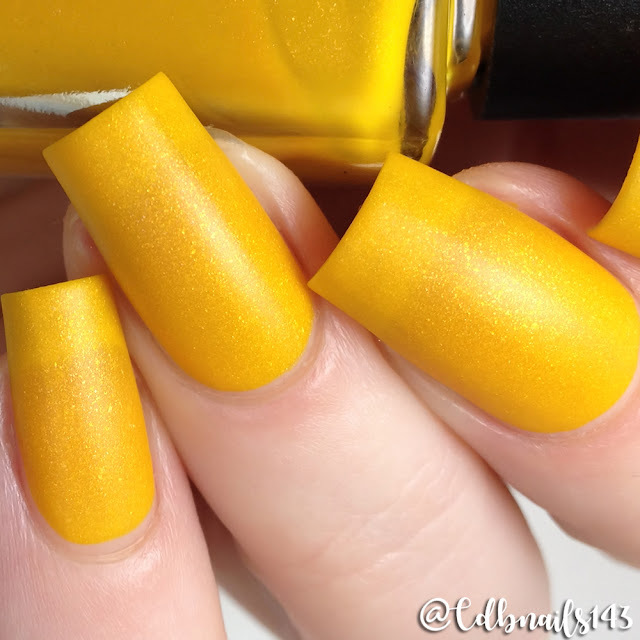 The colors scream to me and it is my favorite collection of Karen's I have swatched to date. Can't even express the love I have for these beauties! haha My personal favorite is 'Spilling Tea' because mustard yellows have been my thang lately haha. Which is your favorite? Are you grabbing any of these polishes? Along with the Kiki Vol.2 Collection the Christmas Kiki Collection (first released 11/2017), will also be available again at a discount in a special bundle with the Kiki Vol. 2 Collection. For more info check out the links below! I love those tone-on-tone microflakies so much!